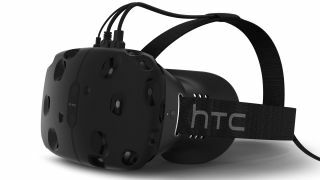 The HTC Vive is the most feature-rich virtual reality headset out there, letting you walk around a room to navigate its VR worlds. But all those functions require some meaty tech - and that comes at a price. However, for the HTC Vive 2, HTC may have found a way to reduce the price of the system by simplifying the construction of the system's "lighthouse" base stations. These satellite units are the parts which track a user's movements in the real world, translating them to actions in-game. And now, thanks to a reduction in moving parts, they can be built more efficiently. As explained by Vive's Joe Ludwig (and spotted by RoadtoVR) new automated manufacturing line processes will streamline production of the base stations. The current base stations make use of two rotors that sweep lasers across your play space, picking up the headset and peripheral movements, which work in tandem with sensors on the Vive gear. The newly designed base stations are able to do the same job just as well with a single rotor. “What better way to make [the Base Station] lighter, quieter, cheaper, and more power efficient, than to chop out half the parts?” said Valve engineer Ben Jackson. It's hoped that new design will pass on savings to future customers. A single replacement base station from Vive currently costs £122 / $135 - with a pair making up a substantial chunk of the full £759 / $800 price tag. Not only will the new base stations be cheaper, but they should also be less likely to break thanks to a reduction in moving parts. It all sounds like a win-win situation for future iterations of one of the most capable virtual reality headsets around.